how to contact us best. Welcome to the FCINFO file version 1.50 ! This textfile is a new revision of FCINFO14.TXT (version 1.40). to ask us, and to tell you how to get more demos. start reading from the next paragraph in this file. has happened since the last information package. you one for commercial purposes, do not hesitate to contact us. help us in evaluating the size of the project. to be supported, what type of music should be played, etc. should the demo run in minutes approximately. We would like you to understand that our demos are not animations. we might already be involved in another project(s). try to send a fax). You can find our contact information from this file. (or any other electronic media) containing our demos. You SHOULD be able to find all of the above from our Distribution Sites. For those who have no idea what the above are, I will explain. other better and exchange a lot of new ideas. well enough before the party and might not work on most machines. was contributed to the competition. organized by bigger demo groups. There are a few big demo parties being held annually in Europe. in the end of Summer. The Computer Crossroads'94, though, has been cancelled. release special invitation intros to advertise their parties. allowed to vote on PC compos. The overall quality of the contributions exceeded all expectations. of all the prizes on the PC was about $7800 US. this in the FC History section in this file. Don't forget to attend Assembly'94 next summer ! Grab ASM-94.ZIP for more info about Assembly '94. STARPORT'S PHONE NUMBERS HAVE RADICALLY CHANGED! Finland. We are working on international access. Please direct general questions, requests for information etc. "Finger" [email protected] for the latest news!!! We receive a lot of mail and simply can't answer all of it. mail. This means: no mailing coupon = NO reply. The best and the fastest way to contact us is through e-mail. demos and be able to e-mail other demo groups as well. write your e-mail address into your message. And PLEASE, be very brief and only ask FC-related questions! We are NOT some all-around info forum or internet users help center! ftp site, here's some info: as the login name put "anonymous"
and as the password, put your own internet e-mail address. find the list of these BBSes in the FCSITE textfile. yourself from some unnecessary paperwork. Q: Where can I get your and other groups' demos? A: There are several ways to get demos. anonymous ftp demo sites are for example ftp.uwp.edu and wasp.eng.ufl.edu. Q: When is the musicdisk coming out? A: We released Purple Motion's musicdisk called Journey at The Party'93. Skaven's musicdisk - Chaotic Mind - has also been released. Q: When will you release a MOD/S3M player? A: It has already been released along with Skaven's and PM's musicdisks. version (v1.1) was released with Skaven's Chaotic Mind musicdisk. Q: When is Scream Tracker 3.0 going to be out? Q: When is Worldcharts issue #2 coming out? way of learning to code, it really does take hard work. Q: Are you going to make games in the future? let you all know when we have a game coming, don't you worry! Q: What do the members of Future Crew do besides computers? colleges. In real life most of us are quite normal(?) human beings. hi-fi, etc, etc. And most of us have or has had a girlfriend. Q: What soundcards will you support? don't see enough demand to support any other cards. Q: Why aren't we supporting General MIDI? Q: Why do your demos require a 386 or higher to run? ledged demo. And besides, 286-based machines are a rapidly dying breed. you get a fast 486.
collection of utilities we have crafted to our need during the years. Q: I'm a beginner programmer. I wonder if you could help me learn demo coding? you some of our unreleased source code. documented ASM source code of our StarPort intro II. Q: Exactly where do FC members study and what? Henchman - Institute of Technology, studying computer eng. demos on the C-64 before moving into the PC scene in the year 1988.
had another BBS - SILICON DRAGON. In the year 1990 there was only one demo release from us, the Slideshow I. It was the first PC demo which included 4 voice SoundBlaster music. Psi, ICE, HAL, JPM, SID, BIG, DAC, MAC and SEBU. 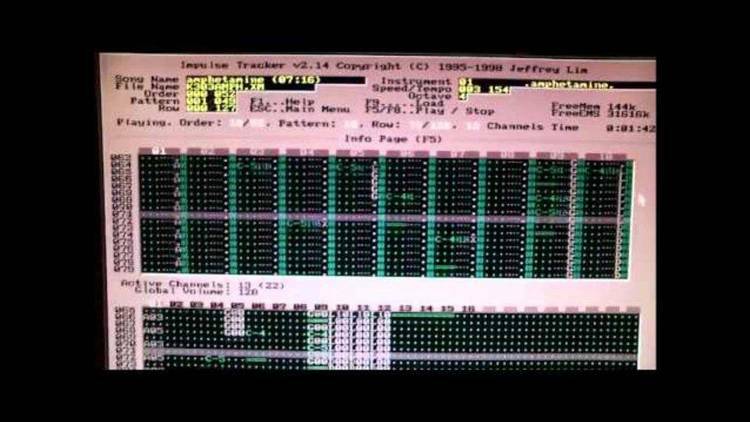 - a 4 voice music editing program inspired by the Amiga SoundTracker. when a pirated version was on the move. music scopes and of course 4 voice SoundBlaster music. the interest to demos and left FC along with his BBS. rest as Psi got the idea of making something different - namely the Fishtro. we couldn't release it until a week after MEGA-Leif. order to get it finished for Assembly'92. In July'92 came Assembly'92, and we won the demo competition with Unreal. held for the first time. The total amount of PC people was 300.
to make an Invitation Intro for it's PC side. The Party 1992 Invitation Intro was mostly coded by Psi and WildFire. active on the Atari ST scene. Then it was the time for another big demo. The making of Panic began. code was also done by Psi and Trug. possible, we decided to organize a bustrip there with the Amiga people. about 2500 computer freaks of which around 300 were PC dudes. said "Witan's, FC's and Sonic's". However, The Party 1992 was a nice party. and we made an invitation intro about it. an intro, a music (4 channel and multichannel) and a graphics competition. the MDP - our MOD/S3M player for GUS/SB/SBPro). A new year has started and Future Crew is now almost 8 years old. August in the center of Helsinki (the capital city of Finland). has been in the making for over 2 years. A R E F A K E S !!! We don't know the maker of these files nor the purpose of them. (the Future Crew) are not the makers of these files. or such, please, report to us immediately! Thank you for reading this file.